Tampa Bay Turners Swim School is devoted to providing aquatic education for lifelong learning and fun in a safe and nurturing environment. Statistics indicate that the majority of submersion incidents affect children under five. Learning to swim may prevent accidental drowning. Our Nationally Award winning program is taught by a professionally trained staff with years of experience. We specialize in teaching students of all ages through a fun interactive learning process using music and songs. 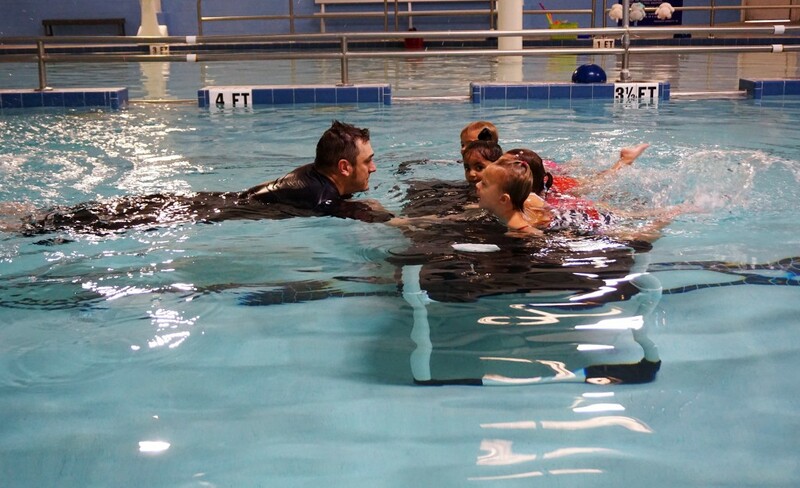 We provide the ultimate Learn to Swim environment. Come visit our indoor heated pool and observe a class. Swimming is a life skill that is not instinctive – it must be taught. TBT is a new member of the United States Swim School Association. 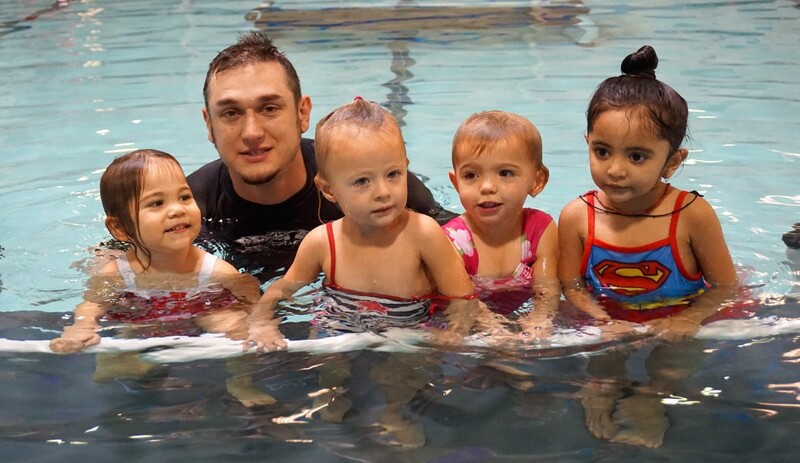 Tampa Bay Turners Swim School is devoted to aquatic education for life long safety, fun and health. We offer a variety of lessons to infant through adult age. 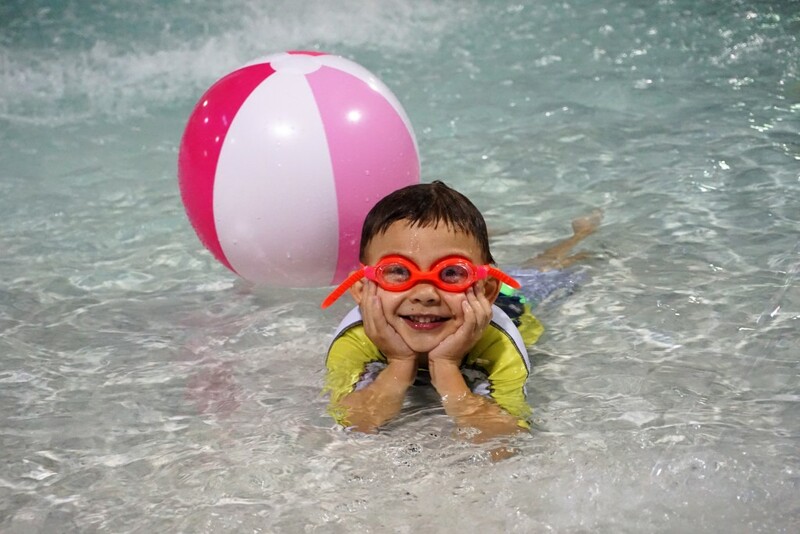 Our indoor pool is 160,000 gallons, heated and has a fun beach area for all ages. The beach includes a mushroom waterfall and lemon drop spouts and is connected to a 25-yard lap pool, which is great for strokes and exercising. Reminder: We will be closed for recreational classes December 24th-January 5th. Happy Holidays! New sessions begin January 7th. This class offers parents a chance to work with their children in a fun, song and game, oriented class. This class is for toddlers and 2 year olds that can swim with their face in the water and are working on breath holding control and kick. Children in this class are ready to follow simple directions and be in a group class without the parent. Children who are new, inexperienced swimmers will learn to hold their breath and swim. Ages 3 years and up. These are children who are comfortable swimming with their face in the water. 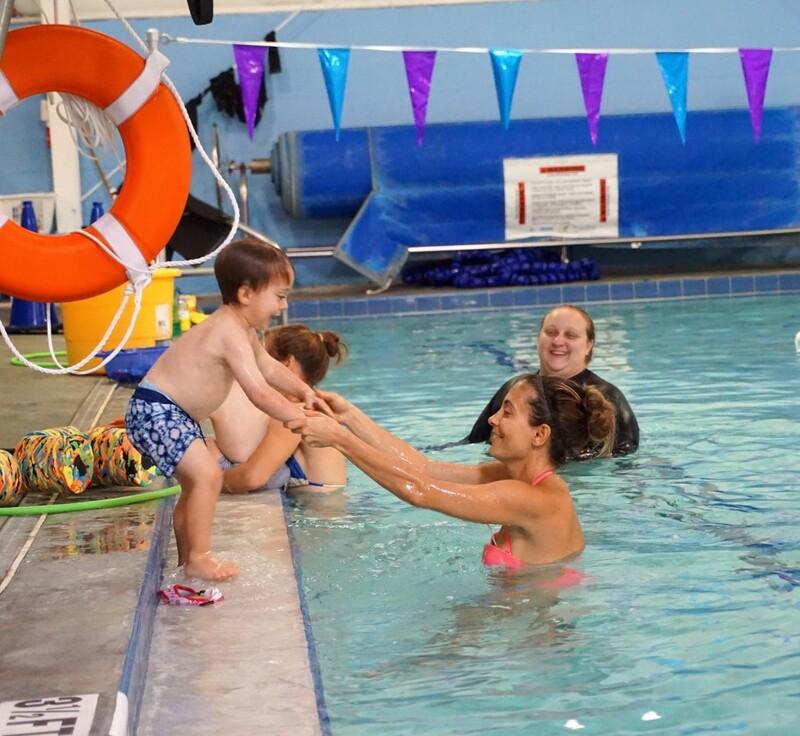 In this class children will learn to swim on their back, dive, jump and work on some safety skills. Children in this class will learn to use their arms in the water. They will work on a modified breaststroke – Reach, Pull, Tickle, and Kick and Clap on their back. Floating and treading will also be taught, along with other safety skills. The prerequisite for this class is that children can swim comfortable with a modified breaststroke and take a breath with ease and good form. Children must also be able to kick and clap on their back. From this point we will begin to learn front crawl and back crawl along with added safety skills. This class is for students who can swim front and back crawl with good technique and want to work on additional strokes. It also implements elementary breaststroke, backstroke, sidestroke and butterfly. We will also teach/learn advanced pool and safety skills. Beginners to Advanced level – this class is for teens and adults who want to learn to swim better. Tampa Bay Turners Swim School is devoted to providing aquatic education for lifelong learning and fun in a safe and nuturing environment. Statistics indicate that the majority of submersion incidents affect children under five. Learning to swim may prevent accidental drowning. 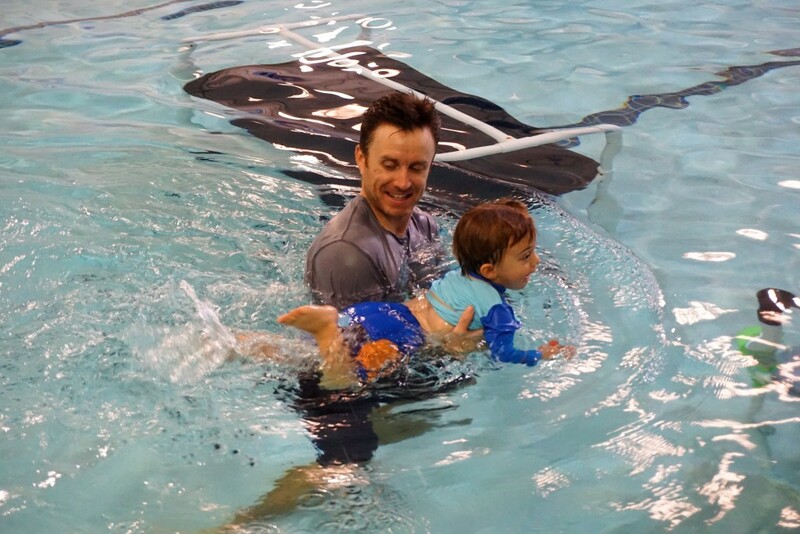 We provide the ultimate Learn to Swim environment. Come visit our indoor heated pool and observe a class.